The Not-So Angelic Doctor: Intra Arcana and Pope Clement VII: Did the Church "OK" Forced Conversions of Native Americans? Intra Arcana and Pope Clement VII: Did the Church "OK" Forced Conversions of Native Americans? Needless to say, this sounds very harsh; indeed, it seems on the surface that the Pope is giving the “OK” on using force to convert and bring the Native Americans to God. This was the first time I had ever heard of Intra Arcana. How are we as Catholic Christians to respond to the charge that, right here, is proof that the Church believes it’s permissible to forcefully convert people? How does one respond to the claim that Paul III contradicts his predecessor Clement VII? The answer is multi-faceted. Once we determine how much authority the Pope was pronouncing, explore the context of the document, understand what the content of the papal bull in its entirety contains (instead of just one quote), and delve into what the Church truly teaches on religious freedom, it will become apparent that the Church’s teaching on how to bring people to the knowledge of God, and how to bring them into His Church, has remained consistent and maintained respect of a person’s free will for two millennia. First, before we get into the meat and potatoes of what is contained in Clement VII’s letter, let’s briefly tackle how the Catholic Church differentiates between different papal documents, and determines how much authority the Pope wishes to convey in these documents. When people think of the Pope, they usually think of his ability to speak infallibly for the Church. This exercise of the Extraordinary Magisterium is called “speaking ex cathedra”, literally meaning “from the chair (of St. Peter).” When the Pope speaks ex cathedra, he is exercising his universal authority as shepherd and teacher of all Christians in defining a doctrine on faith or morals, which must be held by the whole Church. This type of infallible pronouncement has been used very sparingly, and has only been formally declared twice (on the Immaculate Conception in 1854, and on the Assumption of Mary in 1950) in the Church’s entire history. It would seem that Intra Arcana was a papal bull. Now that begs the question: Are all papal bulls, and other papal documents, infallible? The answer is an emphatic no. 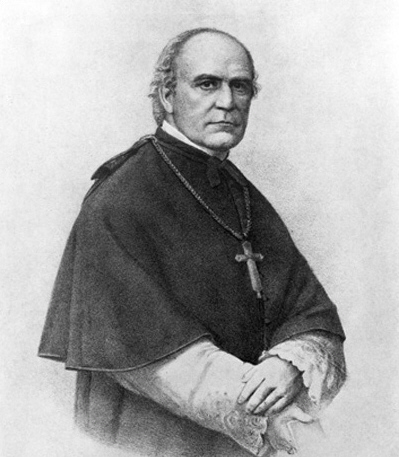 According the The Catholic Encyclopedia, “for practical purposes a bull may be conveniently defined to be ‘an Apostolic letter with a leaden seal’… As for the binding force of these documents it is generally admitted that the mere fact that the pope should have given to any of his utterances the form of an encyclical or bull does not necessarily constitute it an ex-cathedra pronouncement and invest it with infallible authority. The degree in which the infallible magisterium of the Holy See is committed must be judged from the circumstances, and from the language used in the particular case." Now that we have our definitions in order, we can start to apply all this to Intra Arcana. First, how much authority was Clement VII pronouncing, and what was the context? After reading the document, we can see that this papal bull has nothing to do with faith and morals. It is simply not a teaching document; the context of this document, is that it is a letter to Charles V of Spain. This papal bull would fall into the category of not being an infallible pronouncement, and no teaching authority is being exercised here. So what exactly is the Pope telling Charles V to do here? To answer that, let’s find out where the translated quote I posted above actually came from. 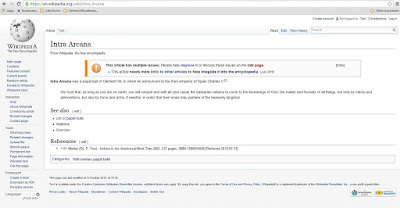 There are many websites, including Wikipedia and a few anti-Catholic pages, which talk about Intra Arcana, and give the quoted portion of the text. 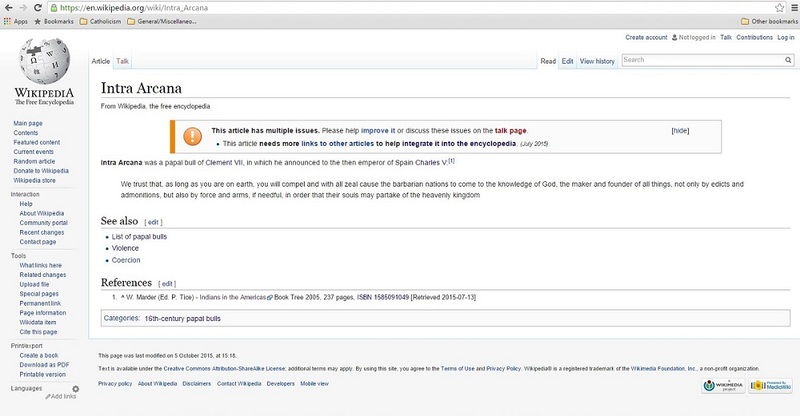 You can see how biased Wikipedia’s pages had been written before relevant edits were made. Hanke, who died in 1993, was regarded as a preeminent historian of colonial Latin America, specifically on the subject of the Spanish conquest of Latin America. Now Hanke’s essay also only featured one section of Intra Arcana. And you guessed it; it’s the same one we’ve seen in the books and web pages I have listed. However, this is without a doubt where the translated portion originates from, and is to my knowledge, the only scholarly translation of Intra Arcana into English. What I found interesting when reading Hanke’s essay, was that he was not very critical at all of the Church’s attitude towards the Native Americans during the age of exploration. In fact, he had been known to work against the common narrative heard then and today that all Spaniards were uniformly exploitative of the Native Americans. Although he seems surprised to find such a letter after reading Paul III’s document, he notes that the scope of the letter is basically limited to patronage power in the Americas to Charles V. Also, note that Hanke translated this selection himself, and it is my opinion that his translation leaves something to be desired; with his one translated selection he seems to have misinterpreted the context a bit. Just why I believe this will become apparent when I present another translation. “Privileges of nominations [i.e., naming people to offices] of Louvain by the Supreme Pontifex Sixtus IV, as well as by his Successors Leo X, Adrian VI, and by Clement VII, Gregory XIII, and Paul V, with those things added by the Princes of the Belgians, and in what way concordats have been conceded, extended, restricted, and altered in diverse fashions. “COPY OF THE INDULT OF NOMINATION TO BENEFICES AND DIGNITIES FOR CHARLES, KING OF THE ROMANS AND THE SPANISH, ELECTED AS THE EMPEROR; GRANTED BY THE SUPREME PONTIFF CLEMENT VII, IN THE YEAR 1529. And following on this, we entrust the barbarous nations to you, until you take them to the Workman of all things, and they be recognized by God the Creator; driven along not only by edicts and admonitions, but also by arms and forces (if only so the work will [be able to] exist); so that with all care of bringing it about, their souls may become partakers of the Heavenly Kingdom. (2) Bringing people to God: "the dwellers on those islands... [should] be led back to the knowledge of the Faith." And: "for greater growth of the [Catholic] Faith." Thus, we can see that the document discusses both of these things. Now, in the section where the pope mentions the use of arms and force, the context mentions both of these things together: " we entrust the barbarous nations to you... [so that] their souls may become partakers of the Heavenly Kingdom." Now, assuming that translation is correct, I think the document is perfectly defensible, and does not at all imply that conversions can be forced. Let me illustrate why: leave out for a moment one of the purposes of the bull, we'll bring it back in a minute. But for a minute, suppose the bull didn't mention bringing people to God. Suppose it merely talked about Spain's control over some territory in the New World. Now, every nation must use compulsion in order to enforce its laws. If a people is not compelled to obey laws, they cease to be a nation and become an anarchy. Therefore, the bull would be perfectly defensible if it merely said that Spain had a right to use arms and forces within its own territory. Okay, now we can bring back in the other purpose mentioned by the bull: bringing people to God. Well, that happens to be a principle purpose of Christian government. They do not exist merely for this life. The purpose of a Christian government is to make things peaceable precisely in order that people may focus more easily on the attainment of eternal life. This interpretation is actually explicitly mentioned by the section in question: "the barbarous nations... [should be] driven along not only by edicts and admonitions, but also by arms and forces (if only so the work will [be able to] exist)." Of course these nations should be driven along by edicts, admonitions, arms, and forces. If they were not, they would not be nations. But does it say that this should be done in order to force them to believe? No, it only says that the ultimate goal of all these edicts, admonitions, arms, and forces, is so that these nations may enter heaven, and so that "the work" (i.e. the missionary outreach) "will exist." Therefore, it seems to me that Wikipedia and the other documents you mention are ripping this document out of context. 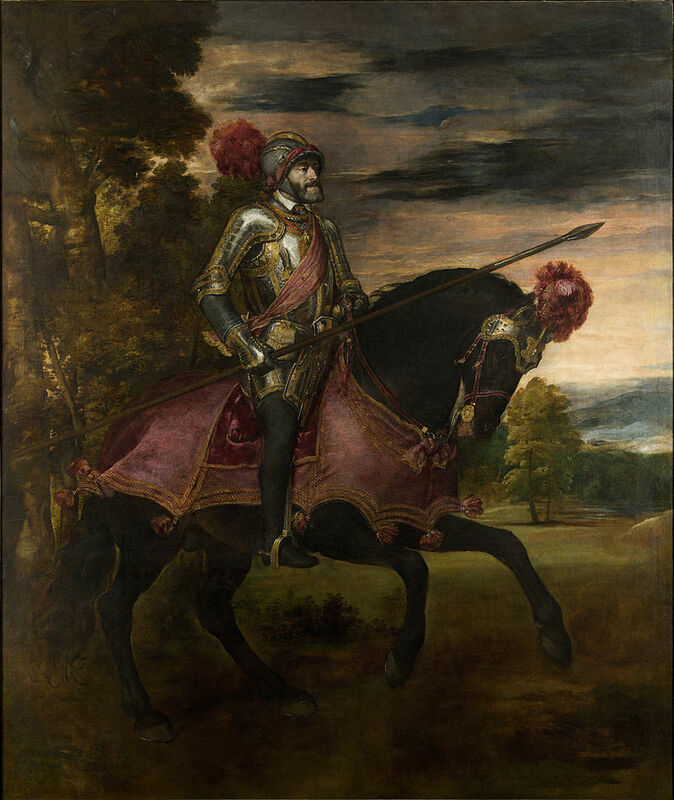 It says that Charles V had a right to use force and arms, not in order to force people to believe, but in order to govern his territory; and it is within that context that the document mentions that a missionary work should be at least able to exist "[so that] their souls may become partakers of the Heavenly Kingdom." Now when we do come to that faith through reason and acknowledge God as our Father and Creator of the Universe, we are living a natural virtue (as opposed to a theological virtue, i.e. faith, hope and charity), the virtue of religion which corresponds to the cardinal virtue of justice. We come now to the all important question whether religious freedom...is opposed to the principles of the Catholic Church. May Catholics who wish to remain true to the principles of their church concede to those of other religions such a position in the state? May Catholic rulers legally permit to their subjects such freedom of conscience without violating their own consciences? Can there be situations in which rulers are even bound in conscience to grant such freedom? …Moral freedom is not a right to do evil, but simply the free and inner self-determination towards what is good; it involves free choice which includes the possibility of choosing what is evil without external compulsion. The freedom to make up one's own mind is, in itself, no right to choose error and to lie. It is the free inner self-determination towards what is truth without external compulsion. The choice of what is good and what is true is at the same time our bounden duty, in fact, the highest obligation that a man has. The choice of what is evil and untrue, on the other hand, is the wonton abuse of our legitimate liberty. Only in this sense can we speak of freedom of religion. The right to adopt a false religion, to organize it, to propagate it does not exist, as such. On the contrary man's first and highest obligation is to seek out the true religion and to give all of his devotion to it. For that reason, the Catholic Church cannot cease to regard the existence of all false religions as the gravest abuse of freedom that it must fight against with all of its might. As opposed to this we are faced with the question whether the Catholic Church can remain loyal to her principles and waive the exercise of external force in the area of religious freedom, or in the area of moral freedom; whether she may leave to the individual freedom of choice in this matter of choice of religion, as she does regarding his freedom to choose between good and evil; and finally, whether, since she possesses no means of external compulsion, she must demand the exercise of such compulsion by public authorities or at the very least by Catholic rulers? That is the real nub of the problem. "The non-believers who, like the pagans and the Jews, have never accepted the true Faith may in no way -- nullo modo -- be forced to accept it, since Faith is a matter of free consent by the will. (ST. ii-ii., 10)"
The greater benefits which St. Thomas had in mind here are not hard to determine. God would have to deprive a man of his liberty which is the highest endowment that man has, if He were to deny a man every possibility of abusing that liberty. 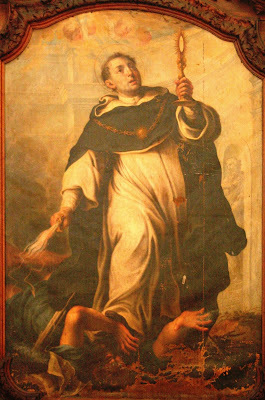 Applying that principle to temporal governments, St. Thomas concluded that they too must tolerate certain evils, and he stated finally: "Even though the non-believers sin because of their religious practices, these must nevertheless be tolerated, either because of the good that they still have in them, or because of the greater evil that would result." Among such evils, he listed the scandal and discord which might result from forceful interference or, even more important, the hindrance that such interference could prove to be to the true conversion of the unbelievers. "It appears as though the religious practices of the unbelievers, notably all of the unbaptized as, e.g., pagans and Mohammedans, may not be tolerated in Christian nations since they involve superstition and injury to the honor that is owed to the true God, whose honor Christian rulers have an obligation to uphold. St. Thomas, however, rightly distinguishes two kinds of religious practices: there are those which go against reason and against God insofar as he can be recognized through nature and through the natural powers of the soul, e.g., the worship of idols, etc. Others are contrary to the Christian religion and to its commands not because they are evil in themselves or contrary to reason as, for example, the practices of Jews and even many of the customs of Mohammedans and such unbelievers who believe in one true God. "As regards the other religious practices of unbelievers which go contrary to Christian beliefs but not counter to natural reason, there is no doubt but that the unbelievers, even though they are subjects, may not be forced to abandon them. Rather the Church has to tolerate them. St. Gregory addressed himself clearly to this problem regarding Jews, and he forbade anyone to deprive them of their synagogues or to prevent them from observing their religious practices therein. (Lib. I Epistol. 34) Elsewhere he reaffirmed that no one should prevent Jews from participating in their religious observances. (Lib. II. Ep. 15) The reason is that such observances do not in themselves violate the natural law, and therefore, the temporal power of even a Christian ruler does not confer a right to forbid them. Such action would be based on the fact that what is being done goes contrary to the Christian Faith, but that is not enough to compel those who are not subject to the spiritual authority of the Church. This opinion is also supported by the fact that such a ban would involve, to some extent, forcing people to accept the Faith; and that is never permitted. (ibid. n. 10)"
1. 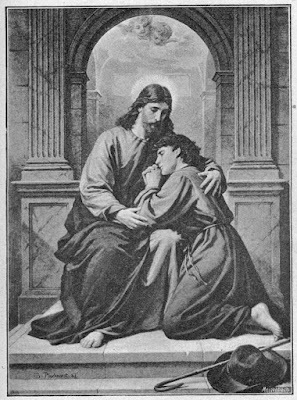 The acceptance of the Christian Faith, which is before God the greatest obligation facing any human being, must be an act of the free will and free self-determination of each individual, and no one may in any way -- nullo modo -- as St. Thomas said -- be compelled to do so by the use of external force. 3. …The unbaptized and the non-Christians are not subject to the Church's authority. Thus, she has only the right to preach the gospel to all men and to urge them for the salvation of their souls to join the Church. She does not have proper authority to use external force directly or indirectly to compel anyone to become a member of the Church, or to order anyone else to use such force. 4. 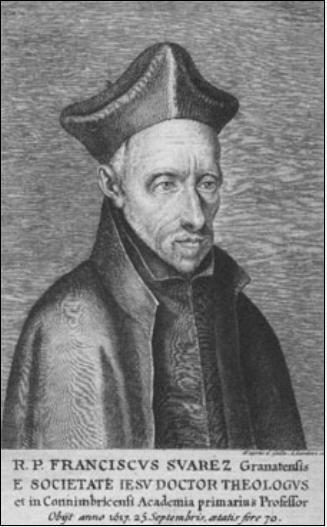 The temporal power exercised in the state, whether by Christian rulers or by others, concerns itself only with a part of the temporal well-being of the subjects, not with the supernatural truths of revelation… The scope of that authority can be extended if the Church chooses to confer more powers, as the Church did grant additional rights to the ancient Christian rulers -- powers which they then exercised in the name of the Church. Likewise, certain historical situations may develop which add to the state's power. Yet, the basic limitation of its authority derives from laws of God who, in laying down His plan for order in the universe, also included a proper sphere for the temporal community. No one, either the Church or the people, has a right to transgress these limits. We have purposely taken pains to discuss this matter at length to show that we are not dealing with a casual opinion, but a matter which has been subject to painful scrutiny and one which rests on important principles. The Church places so high a value on freedom of conscience and freedom of religion that she rejects as immoral and illegitimate any use of external force against those who are not her members. We have to insist upon the limits of religious freedom referred to earlier, whereby it is an abuse of that freedom if the state, under the guise of religious freedom, tolerates sects which deny the existence of a personal God, or which jeopardize morality. The theological richness of Bishop Ketteler is so profound, that it’s hard to select only certain sections from his writings. It can plainly be seen from such theologians as Ketteler, Aquinas, Suarez and even St. Gregory the Great that the Church has always been consistent on the autonomy of people’s decisions in matters of faith. This extends to the Native Americans that are discussed in Intra Arcana. After all this has been said, we can definitely see that there is an issue of prudence; that is, was Clement VII prudent in how he worded his letter? After getting a fuller translation, it would seem that the accusations being thrown around at him and the Church were over exaggerated and his true intentions misunderstood. But were they completely unwarranted? No. The bull does not necessarily violate Catholic doctrine as seen above through the writings of Marcum and Ketteler. But it’s possible such compulsion would do more harm than good, as Suarez mentioned (“…they [the Native Americans] have been given a spectacle of scandals, horrible crimes, and innumerous impieties”) and that would be true then and today. Here’s the crux of the matter, though. Intra Arcana was a bull intended to confirm the ecclesiastical and territorial rights of one country, Spain, and it’s ruler in Charles V. Clement VII could’ve certainly chosen a better way to convey this message of patronage powers. In addition, many Europeans, including missionaries, totally acted contrary to Christ’s teachings, and therefore the Church’s teachings, when dealing with the Native Americans they encountered. But even though these people ignored the commands of the Church, this does not implicate the Church of the crime that it has given, or ever gave, its approval to force conversions. That matter is absolutely defined. There has never been a contradiction between what the Church taught then and now; that consistency remains. Now that we have a better understanding with a fuller and more accurate translation of the papal bull in question, the attacks and accusations of the past century or so can be answered and disproved. If anyone ever compels someone by force to accept Christianity, even a pope, that person is in the wrong and will have to answer to the Just Judge for his crimes and negligence of human compassion. The Church sincerely hopes that all people come home to the loving embrace of Christ, but the Church realizes this must be done of one’s own accord and free will. Until that act of faith is made manifest, Christ awaits patiently with open arms.